A 1982 graduate of Marquette University School of Dentistry, Dr. Moser has been on the faculty since 1994, working with junior and senior dental students as they treat their patients on the clinic floor. 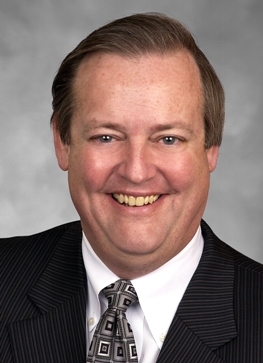 He is involved in organized dentistry, serving as the Treasurer of the Wisconsin Dental Association since 1997, after serving six years as a Trustee. He was a candidate for Treasurer of the American Dental Association in 2012. He is also a Past-President of the Greater Milwaukee Dental Association, and served as chair of a peer review committee of the GMDA. He teaches continuing education classes on esthetic dentistry techniques and Digital Photography in Dentistry. Dr. Moser won a prestigious Golden Apple Award from the American Dental Association in 2001 for his activities in mentorship. In addition to mentoring numerous students, for twelve years he served as chair of the Mentor Advisory Group of the Marquette University School of Dentistry. He is a member of the American Dental Association, Wisconsin Dental Association, Greater Milwaukee Dental Association, American Dental Education Association, American College of Dentists, International College of Dentists, Omicron Kappa Upsilon, American Equilibration Society, Academy of General Dentistry, Academy for Sports Dentistry, Pierre Fauchard Academy, Dental Forum of Milwaukee, Milwaukee Odontological Academy, Chicago Dental Society, and the American Academy of Orthodontics for the General Practitioner.